While it’s nice, I guess, for the NFL to admits the blown calls, there are nothing comes of it. The game can’t be changed after the fact. But, perhaps, the NFL can consider adjusting the rules to make for more accurate games in the future. 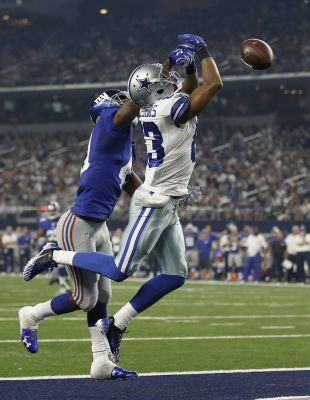 Pass interference penalties very often drastically change games. Because these plays happens quickly, we learn more on what occurs with slow motion reply. I ask that the NFL implement a rule to allow pass interference penalties to be challenged. Accuracy in calls makes for a more fair game and I’d like to see that applied to NFL in a way which can check the level of human error flag throwing officials in the league. This entry was posted on Sunday, September 20th, 2015 at 4:30 pm and is filed under Football, NFL. You can follow any responses to this entry through the RSS 2.0 feed. You can leave a response, or trackback from your own site.